Making holiday plans involves a lot of decisions – what to do, where to stay, how to travel, what to take with you. For pet parents, one of the most critical decisions they face is what to do with the much-loved family member. Here’s how to choose the best facility for your pooch. Look for a professionally-run, well-appointed boarding facility. Professional kennels and boarding facilities will monitor your pet 24×7, will exercise and feed them following your schedule, and will check them frequently with staff trained to recognise signs of stress, distress or illness – and will know what to do. Still there are many kennels and catteries out there, so how do you choose? A personal visit to the kennel is essential. Look for hygienic, spacious accommodation equipped with heating for winter and air-conditioning for summer. The rooms should be made from tiles or similar materials which are easy to clean and disinfect.A low platform should be available to place your pet’s bedding and keep them off of the floor. Be sure the boarding facility has large enough kennels so that your pet can easily turn around and walk a few steps. It should be high enough so that they don’t hit their heads when they stand on their hind legs. If you have more than one dog, be sure that the kennels have space that can accommodate two dogs from the same home. When choosing a pet boarding facility, make sure it has plenty of opportunities for exercise. There should be designated area for walking and exercising and enough trained staff dedicated to ensure all animals get the required amount of exercise – which can vary from breed to breed. For example, at Canine Elite in New Delhi, there is one indoor play area and two outdoor play areas; one that includes an obstacle course if your pet is up for it! Each pet guest has a dedicated attendant to take him for regular walks. If you can take a cooling dip in a pool when you are on holiday, then why shouldn’t your pooch have the same opportunity? Some facilities now have pools for pets as well. At Canine Elite, guests can enjoy doggy-paddling and splashing in the swimming pool or chasing balls across the water! A puppy pool is also available dedicated to the new swimmers. All responsible kennels will have strict rules about vaccinations. If they do not, you put your pet at risk of getting sick or worse. Do not board you pet with a facility which do not follow vaccination guidelines. For example, Canine Elite requires proof of current vaccination records for dogs for the following conditions – rabies, bordetella (kennel cough) and DHPP (Distemper, Hepatitis, Para Influenza, and Parvovirus). Does your dog or cat have special needs? Does your dog follow a special diet? Older animals and those with medical problems should be given extra attention to ensure they get their medication at the right time and are monitored regularly by the kennel veterinarian. One very important thing to ask is whether a veterinarian available around the clock at the kennel. These days, holidays for humans often involve a makeover and pampering in a spa. Why not choose a facility that offers similar services to your pet? At Canine Elite, canines and felines can enjoy top quality grooming services such as comb-outs for tangled fur, cuts and trims in different styles, nail clipping, and relaxing baths and massages. Some pet boarding establishments provide ‘pet taxi services’ and, depending on circumstances, this may be helpful for you at the beginning and end of your holiday. You can enquire if this facility is available when making your booking. In addition to its pet taxi services, Canine Elite even offers chartered airplanes for pets and pet parents. 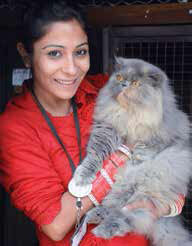 In some circumstances, pet parents may wish to stay in Delhi with their pets and Canine Elite makes this possible. The resort has a pet-friendly guest house called The Residency, which is located in the upscale Vasant Kunj locality in New Delhi and has 10 bedrooms, a spacious garden and a fully equipped kitchen. Finally, when choosing a boarding facility, you might like to consider whether the establishment carries out work in the wider community, in animal welfare for example. 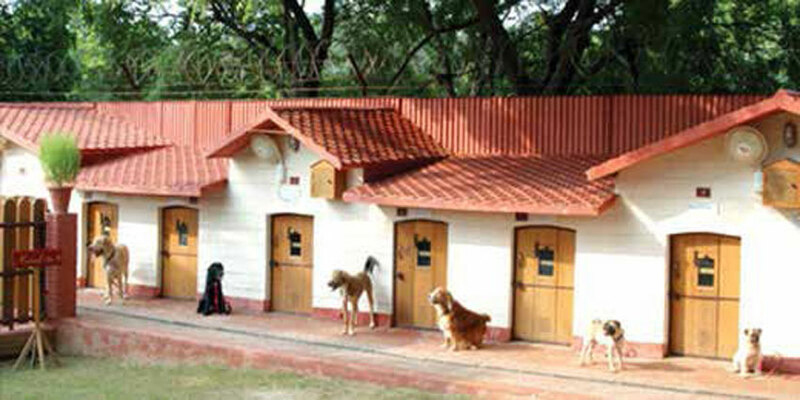 Such facilities do important work and as you are an animal lover, they are well worth supporting with your custom. Having chosen the right pet resort, you and your family can enjoy your well-deserved vacation to the full, knowing that your beloved cat or dog is in capable hands. Be an early bird: Do make your reservation early, especially at peak vacation periods as rooms go quickly. Check vaccination requirements: When making your booking, check to be sure which vaccinations are required and that your records are up-to-date, what items you need to provide when checking your pet in, if they provide meals, and which vet they use in an emergency. Feed wisely: Some animal experts do advice that you should not over-feed your pet before taking him to the kennel. The extra food is not required and could cause an upset stomach. Be calm: Since pets are highly sensitive, do not allow any family member to stage an emotional ‘goodbye’ because this might induce unnecessary anxiety in your pet.